Christmas isn’t usually my favorite time of year. I took down the decorations first thing on December 26. I was glad to see them go! I enjoy surprises and gift-giving, but the confusing history of the holiday and mishmash of traditions tend to bother me. I’ve always been a bit grinchy. 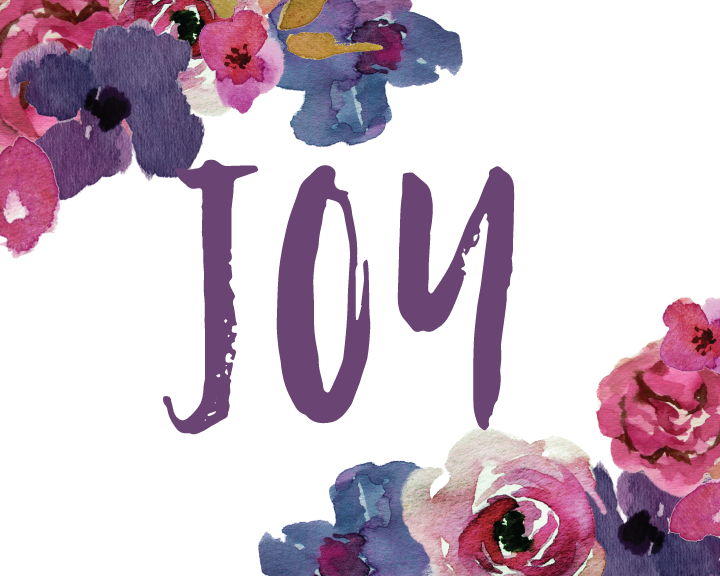 JOY has to be cultivated. The God of JOY is present in our pain and sin. And as it turns out, that is where my greatest JOY is found! Even though the past 2 years have been the hardest of my life, and I’m currently getting treatment for health problems caused by out-of-this-world, way-beyond-stressed-kind-of-stress, I have more JOY now than ever before. 1) We complain while we are greatly blessed. 2) We complain about trivial things. 3) The complaining is done by those to whom God has been especially gracious. 5) We complain while He goes on blessing us. I’m reminded to turn my attention to the good news and stop complaining, even as I prayerfully and patiently cultivate JOY in our home. All this talk of JOY reminded me of a discussion with a friend who visited from India in the fall. During his brief stay with us, we asked him all about life in India, wondering if his accounts would corroborate with the Gospel for Asia newsletters we receive. We’ve read about people turning to Christ in India through miraculous healings, and the stories are very exciting. We asked our friend if this is the main way that people are coming to Christ in India. He informed us that it’s not miraculous healings that are making the biggest impact on India for Christ: it’s the JOY of the believers. I don’t know why we were surprised, because the same is true here. I’ve been hitting all 5 of those points in one day lately! And boy, was it a fun, freeing time as she shared about how God has met her on every cliff. He’s met me on every one of mine, too. So as we enter 2017, my word for the year is JOY, and I am determined to laugh more than ever before. I’m already utilizing professional help, I’m getting better at counting the wins, I see grace-bearers all around me, and every time I fall apart with Jesus, He always puts me back together. I’m a Jesus-following military wife turned missionary wife who is a homeschooling mom. One of my favorite things is encouragement. I hope you’re encouraged by your visit here.